Homoeopathic treatment is one among the best system of practice in India. Let us leaf over the pages of Indian history. While doing this in brief we remember the days of our Master Hahnemann. Even though he faced many criticisms, he brought there in his bosom, of course, his new invention Homoeopathy. He was successful in spreading, popularizing his new mode of treatment and in creating a large numbers of his followers, disciples and admirers. Homoeopathy entered in India in 1839 when Dr. John Martin Hoenigberger, was called to treat Maharaja Ranjit Singh, the ruler of Punjab, for paralysis of vocal cords and oedema. Later Hoenigberger came to Calcutta and practiced Homoeopathy there for quite sometime. Since then Homoeopathy has progressed steadily in country. Samuel brooking, surgeon, a retired Medical Officer had the courage and conviction to establish a Homoeoapthic Hospital at Tanjore, in South India, in 1847. 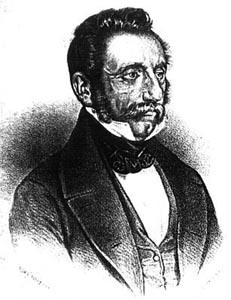 French physician Dr. Tonnere came down to Calcutta in 1851. He proved “Acalypha Indica” later established a homoeopathic hospital. Babu Rajendralal Dutta (1818-1889) , Philathropist treated Malarial epidemic outburst with Dr. Tonnere . There after Babu Rajendralal Dutta laid the real foundation stone to Homoeopathy in india and considered as the ‘Father of Homoeopathy in India’. The illustrious personalities like Raja Radhakanta Dev and Pandit Iswar Chandra Vidyasagar were successfully treated by him. He converted his opponent, an allopath Dr.Mahendra Lal Sircur to Homoeopathy . Dr. Pratap Chandra Majumdar, who established Calcutta Homoeopathy Medical College, also rendered great service to the development. In 1867 Banaras Homoeopathic Hospital was established and a charitable dispensary was started at Allahabad . During this time fragrance of Homoeopathy started spreading all over the nation. Rev. Father Muller, the great Jesuit Missionary of Mangalore in the South served the public with many dispensatries and Fr. Mullers Homoeopathy Medical College embarks with its reputation. Mr. P. Subbarayulu the large- hearted lawyer of Kakinada in the East; Mr. V. M. Kulkarni, the tireless telegraphist of Bombay in the west, are the few names to conjure the development of homoeopathy. In April 1937, Md. Ghias -ud-idin, M.L.A. moved a resolution in the Legislative Assembly for its recognition. The resolution was passed and forwarded to the State Governments for its implementation and Bengal was the first province to constitute a Homoeopathic State Faculty in 1943. After independence and formation of union Government, on 17th February, 1948 Shri Satish Chandra Samanta, M.P. (West Bengal) moved a resolution which runs as follows “ This Assembly is of opinion that homoeoapthic system of treatment be recognized by the Indian Union and that a General Council and a State Faculty of Homoeopathic Medicine be established at once”. This resolution was unanimously adopted. Government appointed a Homoeopathic Enquiry Committee in 1948 and the Committee submitted its report in 1949. In 1952, Rajkumari Amrit Kaur, the then Union Health Minister appointed a Homoeopathic Ad-hoc Committee which functioned up to 1954. In 1954 Government of India constituted a Homoeopathic Advisory Committee. This Advisory Committee was taken over by the Minister of Health and Secretary. The Minister of Health became its first Chairman. Govt. of India appointed Dr. K. G. Saxena as first Honorary Homoeopathic Advisor in 1962. A Homoeopathic Pharmacopoeia Committee was established in 1962 to lay down the standard for Homoeopathic drugs. In 1969 for the development of ISM & Homoeopathic drugs an autonomous council was established. On 17 th December 1973, Central Council of Homoeopathy was established by the Government of India with the enactment of Central Council of Homoeopathy Act, 1973 with the following objectives. “To evolve minimum standards for admission, duration of course of training, details of curricula and syllabi of studies of Homoeopathy, uniform title of degree and diploma, uniform courses of study of not less than four years duration and maintain central register of practitioners of Homoeopathy’’. Uniform Education in Homoeopathy at diploma and graduate level was enforced in the country in the year 1983.